The Johns Hopkins University (commonly referred to as Johns Hopkins, JHU, or simply Hopkins) is an American private research university in Baltimore, Maryland. Founded in 1876, the university was named for its first benefactor, the American entrepreneur, abolitionist, and philanthropist Johns Hopkins. His $7 million bequest—of which half financed the establishment of The Johns Hopkins Hospital—was the largest philanthropic gift in the history of the United States at that time. Daniel Coit Gilman, who was inaugurated as the institution's first president on February 22, 1876, led the university to revolutionize higher education in the U.S. by integrating teaching and research. 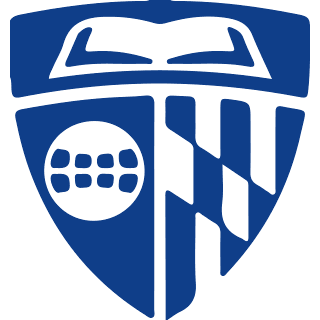 Adopting the concept of a graduate school from Germany's ancient Heidelberg University, Johns Hopkins University is considered the first research university in the United States.